[ 2019-04-17 ] Playtech is now online! Sorry for any inconvenient caused by the system upgrade maintenance. We strive to provide our members with the best online gaming experience we could. [ 2019-04-05 ] Welcome to QQclubs! Register for free and claim your welcome bonuses, up to MYR388. 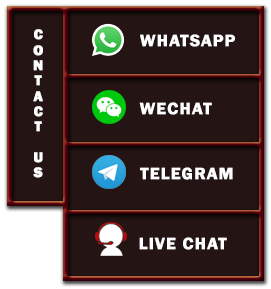 [ 2019-04-05 ] Please contact our 24/7 Live Chat girl if you having any problems with the site or games. [ 2019-04-05 ] Wechat & Telegram Freebet RM10 Promo: Please remember to add our Wechat QQclubsmy/Telegram official channel and send your Username to claim RM5 each after you have deposit. [ 2019-04-05 ] Dear member, please be notified that our bank account has been updated. Remember to check the details before making deposit. Thank you. This promotion is open for all QQClubs new register players. New register players are allowed to claim only one type of Welcome Bonus. The deposit bonus is claimed at the Deposit form, players could simply just tick the 100% Welcome Bonus, if they wish to claim the bonus. To qualify, players have to make a minimum deposit of RM 30. Each new player can only claim the bonus ONCE (1). Up to a maximum of RM 388 deposit bonus. Two opposite sides bet, draw results, voided/cancelled games, bets placed on odds below 0.50 or 1.50 (Decimal Odds), Live Casino, 4D lottery and 918kiss will not be taken into the calculation or count towards any rollover requirement. Live Casino, 4D lottery and 918kiss are not applicable to this promotion. The bonus amount and all winnings will be forfeited if the rollover requirement are not met within 30 days of bonus credited. Each player only allowed to have one registered account in QQClubs , If we found out players create more than one account (Before creating multiple accounts, players have to contact one of our live chat representative and request for creating multiple accounts). Otherwise QQClubs will treat these accounts as an organizational account and QQClubs has the right to terminate the accounts, and credit will be frozen permanently. New register players are allowed to claim this promotion only one type of Welcome Bonus. The deposit bonus is claimed at the Deposit form, players could simply just tick the 50% Welcome Bonus, if they wish to claim the bonus. To qualify, players have to make a minimum deposit of RM 30. Each new player can only claim the bonus ONCE (1). Up to a maximum of RM 288 deposit bonus. The deposit and bonus amount has to be rolled over 12 times prior to withdrawal. This promotion is open for all QQClubs active players and can only be claimed 1 (ONE) time per day. Players will be awarded with a 20% Bonus on their 1st deposit made daily up to MYR588. To qualify, players have to transfer a minimum of RM 30. The deposit bonus is claimed at the Deposit form, players could simply just tick the Daily Bonus 20%, if they wish to claim the bonus. The deposit and bonus amount has to be rolled over 18 times prior to withdrawal. Two opposite sides bet, draw results, voided/cancelled games, bets placed on odds below 0.50 or 1.50 (Decimal Odds) will not be taken into the calculation or count towards any rollover requirement. This promotion applicable for Live Casino, Slot Games and Sportsbook ONLY. 918Kiss, 4D lottery and Table Games under Slots (American Blackjack, Baccarat, Blackjack, Blackjack Pro, Casino Hold 'Em, Perfect Blackjack, American Roulette, European Roulette, Premium American Roulette, Premium European Roulette) are not applicable for this promotions. This special bonus cannot be used in conjunction with any other bonuses offer. This promotion is open for all QQClubs active players and can be claimed more than 1 (ONE) time per day. Players will be awarded with a 8% Bonus on their deposit made daily. To qualify, players have to transfer a minimum of RM 30. Unlimited number of deposits, one time deposit don't have maximum claim. The deposit bonus is claimed at the Deposit Form, players could simply just tick the 8% Daily Bonus, if they wish to claim the bonus. The deposit and bonus amount has to be rolled over 5 times prior to withdrawal. This promotion is open for all QQClubs active players and this 20% Slot Bonus runs every Tuesday & Thursday. Players will be awarded with a 20% Slot Bonus on their 1st deposit made daily up to RM150. To qualify, players have to transfer a minimum of RM 30. The deposit bonus is claimed at the Deposit form, players could simply just tick the 20% Slot Bonus, if they wish to claim the bonus. The deposit and bonus amount has to be rolled over 15 times prior to withdrawal. Two opposite sides bet, draw results, voided/cancelled games, bets placed on odds below 0.50 or 1.50 (Decimal Odds) and 4D lottery will not be taken into the calculation or count towards any rollover requirement. Live Casino, Sportbook, 918kiss and 4D lottery are not applicable to this promotion. This promotion is only applicable for members who joined QQclubs 2 months before of his Date of Birth. Members are allowed to claim this promotion once a year during birthday month only. Member will have chance to get bonus either RM38, RM88 or RM128 as their birthday gift from lucky draw. Please contact Customer Service and provide your username together with a full copy of Identification Card for verification to our customer service to claim this promotion. Members who qualify this promotion requirement must apply to the customer service within birthday month only. This promotion do not have any rollover requirement. QQClubs reserved the rights to cancel this promotion at any time, either for all players or individual player if there is any fraud incur. Each member is allowed to have one registered account for each product in QQclubs only. If QQclubs found member create more than one account, these accounts will be treated as a subordinate account. To qualify as a Referral, you must be an existing QQclubs active player, NO DEPOSIT needed. To invite your friend, click into "Invite Friends" to send a SMS or share your link to your friends. To redeem your referral bonus, your new Friends must register an account under your link and deposit into their QQclubs accounts during promotional periods. Referral who meets the requirements will be awarded with the referral bonus 10% from each of deposit made by your friends until the bonus are awarded until RM300. The referral bonus will be credited into member's account MAIN WALLET within 24 hours after verification. The bonus amount has to be rolled over 5 times prior to withdrawal. The referrer and referred friend must not share the IP address or reside in the same household. Two opposite sides bet, draw results, voided/cancelled games, bets placed on odds below 0.50 or 1.50 (Decimal Odds), 918kiss and 4D lottery will not be taken into the calculation or count towards any rollover requirement. 4D lottery and 918kiss are not applicable to this promotion. QQclubs reserves the right to suspend or terminate any duplicate accounts or any account that does not adhere to the stipulated terms and conditions. All bonus from QQclubs are restricted to only 1 (one) free account per individual, family, household address, email address, telephone number, bank account and IP address. QQclubs reserves the right to modify or cancel this promotion at any time without prior notice. Promotions starts on 00:00:00(GMT+8) 2019-03-01 until 23:59:59(GMT+8) 2019-12-31. This promotion is open for all QQClubs active players. Member are entitled to claim this bonus once per day. Cashback bonus are based on member total loss in a day and applies to all slot games in "918Kiss" only. Member's wallet balance needs to be less than RM5 to claim this bonus. Claimed bonus are not applicable to bet on 4D. Any winning amount will be forfeited. To receive this Cashback bonus, member are required to contact our Live Chat support. This promotion will start from 1 Mar 2019 00:00:00 (GMT +8) until 31 Dec 2019 23:59:59 (GMT+8) and applies to all QQclubs players. Every players can claim only ONCE on one account. Players will be awarded with a 50% Sport Bonus on their 1st deposit made daily up to RM188. To qualify, players have to transfer a minimum of RM 30. Live Casino, Slot Games and 4D lottery are not applicable to this promotion. This promotion will start from 1 Mar 2019 00:00:00 (GMT +8) until 31 Aug 2019 23:59:59 (GMT+8) and applies to all QQclubs players. Players will be awarded with a 18% Special Bonus on their first deposit in a week up to RM188. The deposit and bonus amount has to be rolled over 10 times prior to withdrawal. Every players can claim only ONCE per day. To qualify, players must place bets on CORRECT SCORE of 4 different matches in sportsbook with minimum bets RM30 within 24 hours. Players will get Fight Back Bonus RM30 if lose 4 of the matches. Players will need to contact our Customer Service to claim this bonus. Players can only use the bonus to place bets on Sportsbook. This promotion is open for all QQClubs members. Players will only be awarded if they have made at least one time deposit before on their QQclubs account. 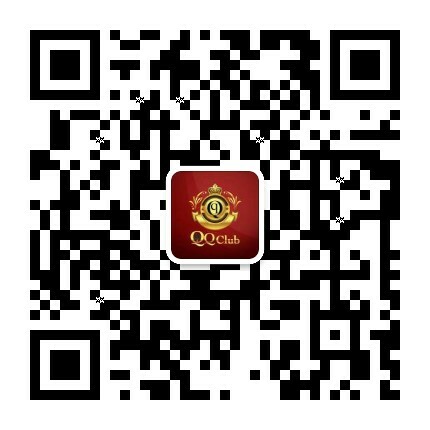 Players will need to send their username in message to QQclubs’ official WeChat to claim their bonus. The bonus amount has to be rolled over 3 times prior to withdrawal. Players will be awarded RM5 after subscribe our Telegram Channel. This promotion will start from Monday until Sunday every week. Once you start playing, we will calculate your rebates. Promotion is open for all QQClubs active players. Rebates amount will be deposited into player’s QQClubs main wallet every Monday after 12pm (GMT+8) onwards. Minimum payout for the CASHBACK is at least RM 10 and no maximum payout (No rollover requirement for withdrawal). Two opposite sides bet, draw results, voided or cancelled bets will not be taken into the rollover calculation. This promotion cannot be combined with any other promotion bonus. Rebate amount will be deposited into player’s QQClubs main wallet every Monday after 12pm (GMT+8) onwards. Minimum payout for the CASHBACK is at least RM 5 and no maximum payout (No rollover requirement for withdrawal). 918kiss, voided or cancelled bets will not be taken into the rebate calculation. This promotion will start from Monday until Sunday every week. Once you start playing, we will calculate your rebates. Promotion is open for all QQClubs active players starting from 13th August 2018 00:00:00 (GMT +8) until 31st May 2019 23:59:59 (GMT +8). All QQClubs players are entitled to a 0.5% rebate based on their total amount wagered in SPORTS only. Two opposite sides bet, draw results, voided/cancelled games, bets placed on odds below 0.50 or 1.50 (Decimal Odds) will not be taken into the rebate calculation. As long as there have been successful casinos, there have been successful promotions behind them. This was evident to casino operators right from the beginning – even at a time when competition was very limited. Before the rise of online casinos, landed casinos already had very creative promotions on offer. Popularly known as “comps”, these were more like select benefits afforded to clients who satisfied the criteria. This was usually a combination of what games they were playing, size of bets placed and the frequency of their visits. Despite being very specific to certain customers, the criteria for availing promotions was still very limited. The promotions would of course come in the form of various monetary bonuses but was not limited to this. Because casinos were always housed in luxury establishments, operators could take advantage of their surroundings to provide an array of comforts for their players. This would come in the form of preferential bookings, room upgrades, freebies on various consumables, but most importantly, various benefits at the gambling table. However, the best promotions were inevitably reserved for valued customers and high rollers. Due to their rarity and because they were viewed as high society venues, people made the extra effort to visit them. Also, size limits among other constraints meant casinos could not endlessly keep drawing in players. In the modern world of the online casino, this has changed completely. There is still the core requirement in the gaming world to attract customers and, more importantly, keep them and casino promotions are still vital in this respect. The need to be creative with promotions has grown exponentially due the virtual nature of online casinos. No more is there a fancy luxury hotel or club that can be leveraged for promotional reasons. However, throughout the world and including online casino Malaysia clients have come to see promotions as an integral part of the entire casino experience. Online casinos do not face the same constraints as landed casinos. In fact, the success of any online casino depends on a significant volume of bets being placed across the board. There has also been an explosion of online casinos in the last few years, but unfortunately there is no real way to check the integrity and reliability of most offerings. Clients are often at the mercy of online reviews or just believing what the operator tells them. In the current online environment, the client holds all the cards because of the vast array of choices. Online casinos are available in almost every territory around the world so while dedicated marketing is important, reliable, attractive promotions are key to convincing clients to choose and consequently stay. At QQclubs we also realise that gambling, in any form, can be a very emotional experience. In games of chance the players are always on edge, taking risks. Therefore, taking this into account, it is important that we provide options to maximise the players betting pleasure. Aside from this, we want our clients to make the most of their time at QQclubs. It is of vital importance to us as one of the best Malaysia online casino operators that our clients always feel they have got their money’s worth when they play at our site. To achieve this, it is no good just to have a large selection of promotions. We endeavour to make the entire experience of a promotion a positive one. From the outset when a customer is deciding, the choices must be made very clear, with any underlying terms and conditions clearly marked out to avoid any discrepancies later. Once a client has decided the process of claiming a promotion and subsequently using it must be a seamless one. No client is going to enjoy even the most generous of promotions if the experience of using it is painful. Furthermore, online casinos today are no more the limited venues they once were. Today we welcome anyone who is of legal age and enjoys a good game of chance. We want to see our clients succeed and win as this breeds a happy gambler who will most likely return. For these reasons we are constantly monitoring and innovating our promotional offers to offer industry leading promotions for our clients. Is the client an experienced high roller? Or is the client someone who is just curious? We are constantly asking ourselves these questions to better understand the customer and thereby create better promotions. A quick glance at our promotions page shows we do just that. From the moment a client joins us they are greeted with the option of a welcome bonus. In fact, we have promotions that allow first timers to have a try without spending any money initially. There are also promotions that vary daily depending on the nature of the game. In our sportsbook for example we are offering varying rebates which depend on the variables surrounding the sport in question. Seasonal promotions are another favourite for clients. During most festive seasons – especially in Malaysia – we know our gamblers are always in the mood for a casino. We want our new clients to be able to try out gaming without the fear of losing due to their inexperience or being forced to stop playing due to exhausted funds. We firmly believe that promotions must be tailored to suit different clients. Come grab a bonus and let’s play!